The authors’ vision is to achieve the goals set forth by the “second Flexner report” by transforming medical education with disruptive technologies. We are living in exciting, “disruptive” times and I look forward to see how the re-imagining of medical education will change us. This is one of those articles that may (hopefully) help define a new era of medical education! Charles Prober (senior associate dean at Stanford SOM and author of the article “Lecture Halls Without Lectures”) and Salman Khan (creator of the Khan Academy) have co-authored an editorial calling for “a collaborative, multi-institutional effort to reimagine medical education.” This “reimagining” recognizes that the current medical system is generally inflexible to individual learners and embraces the flipped classroom model at it’s core. 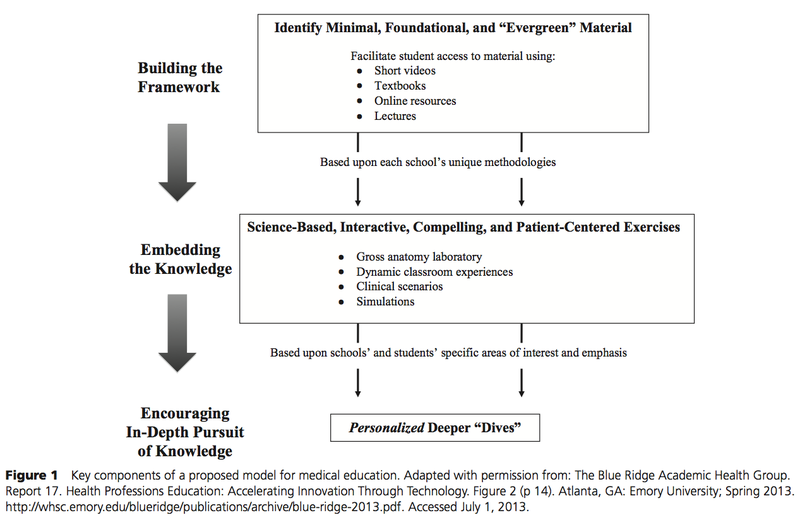 This is the central element of the proposal and calls for a curricular change to focus on medical knowledge that is “evergreen,” or foundational and known to be true. They then call for the creation of a medical school collaborative to identify the core content, and based on this, to create short (~10 minute) videos of this core content. Interactive, engaging sessions add meaning to the knowledge and solidify the learners understanding of the material. Based on the experiences at Stanford, they also note that the sessions with video-based didactic instruction must be time neutral compared to the current model. Here, the key is “to tap into and support the individual learner’s aptitude and passion.” Deeper “dives” into the curriculum and driven by learners and areas of expertise in each school. It also respects that some students may not feel the need to do so. Encouraging multiple formats – recognizing that there will need to be several videos formats to fit various learning styles. I am energized by this article and excited to be an educator right now! 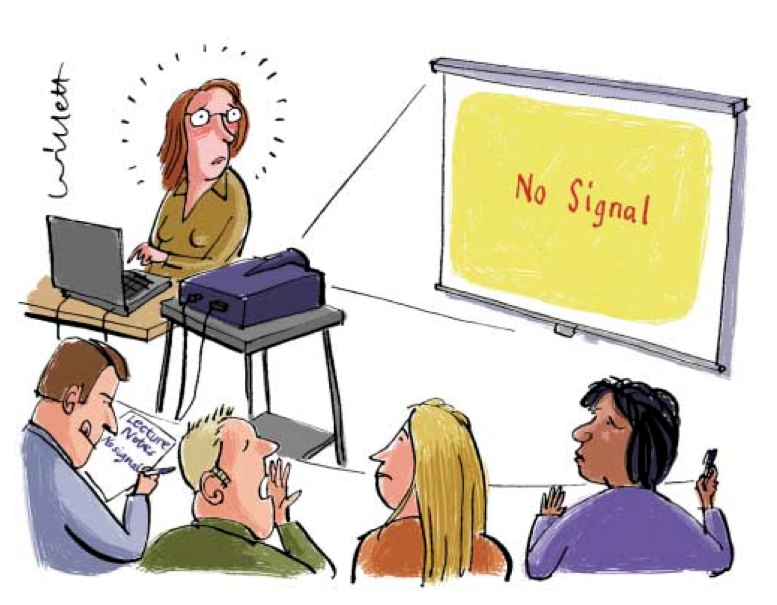 This article appeared in BMJ in 2003 and it a little dated (a few paragraphs talk about the use of overhead projectors and 35mm slides) but still had some great pearls to pull out if it. Very true. This is the whole idea behind presentation design and now has research to support this idea (see articles by Dr. Issa). Also very true. One of the most common mistakes I see in presentations is a lack of focus on key points. The presentations turn into “slideuments” that are just large amounts of text in slide format. Perhaps the most important sentences in this article because they hit so many important points. First, this idea that we have to tailor our teaching to our learners. This is a critical first step in designing educational activities. 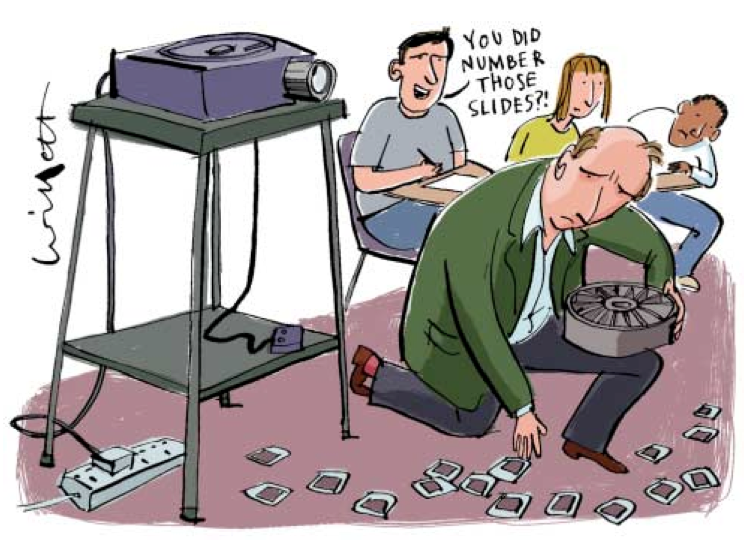 As much as I love presentation design, there are times when it isn’t even the best way to teach, and we have to consider this first before reflexively creating a powerpoint anytime we are asked to teach anything. This also implies that the same topic may be delivered differently based on the learners and educational goals. Second, teaching materials supplement educational activities. They should never be the central focus. Third, the idea of finding out what your students know related to the educational theme of Organizing and Anchoring. Activating prior knowledge and using the zone of proximal development aids in learning. Always important to remember, especially given the explosion of technology in the last few years. Overall, this article was a nice, quick read that hid some great pearls that are still true for presentation design, but also gave some historic perspective on presentation tools and design ideas at the time. In the 1970’s, three researchers hired an actor, Michael Fox, to “teach charistmatically and nonsubstantively on a topic about which he knew nothing.” The lecture, titled “Mathematical Game Theory as Applied to Physician Education,” was attended or rewatched via video by a total of 55 participants (physicians, educators, and administrators). 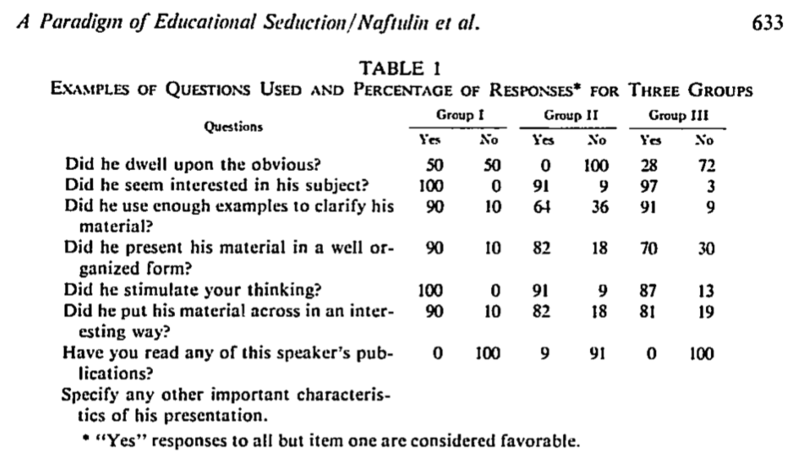 Table 1 from the paper shows the responses that the participants had to the survey. The authors concluded that “style was more influential than content in providing learner satisfaction” for those participants in the study. They were specifically aiming to address the idea that student ratings of educators had more to do with personality than with educational content. “Successful teaching is a performance, and the sooner we make peace with that, the better.” – Tauber, et. al. Tauber R, Mester C. Acting Lessons for Teachers: Using Performance Skills in the Classroom. Praeger, 2007. 2nd edition. Two key articles give us some of the first evidence in medical education that applying multimedia design principles affect learning. The first article is a prospective study where “traditional” powerpoint slides were compared to “modified” powerpoint slides in a 50-minute lecture on shock given to third year medical students during their surgery clerkship. The modifications were based on Mayer’s multimedia design principles. A pre-test/post-test control group was used and took a convenience sample of students (39 in the control group, 91 in the modified slide group). The author, Dr. Nabil Issa, was gracious enough to send me the slides he used in his study. I have included the ones that appear in the two articles for comparison. Results: Both groups showed improvements in retention , transfer, and total scores between pre- and post-tests. However, further analysis showed statistically greater improvements in retention (F=10.2, p=0.0016) and total scores (F=7.13, p=0.0081) for those students in the modified slide group. Interestingly, there was not a significant difference between the groups ability to apply the new knowledge to clinical vignettes. The second article is a follow-up study based on the first. So, what does this mean for us. Well, a few things. First, we have evidence that the way we design our materials affects learning. It also means we have a lot of work to do. There are many more questions to answer to fully understand the effect of incorporating multimedia design principles. Are certain concepts taught better in certain ways? Does the length of the presentation affect retention (yes on this one, but just thought I would throw it out there)? How do we best teach others to design with multimedia principles? Hopefully, this is the first of many studies on optimizing the delivery of content to our learners. I even hope to contribute to this body of literature myself in the coming years. I have written previously on Mayer’s work in this blog if you are looking for more information about multimedia design principles. Click here to see the page. This commentary, which was published in the New England Journal of Medicine, is a must read for all educators. Their solution, based on Heath’s book Made to Stick is to make ideas “stickier” by capturing curiosity and using stories to create an emotional response. (click here for a great review of the book by Michelle Lin, M.D.) The third part of their solution is to embrace a flipped-classroom model (see below). So, the goal isn’t to just start recording the lectures for students to watch at home. The goal is to create materials to promote learning. Presentation design principles are at the heart of this endeavor. Embracing a flipped-classroom and developing high quality materials for learning both in the classroom and outside of class will change the educational process for the better. Soon after I became interested in presentation design, I began reading everything I could find on the subject. 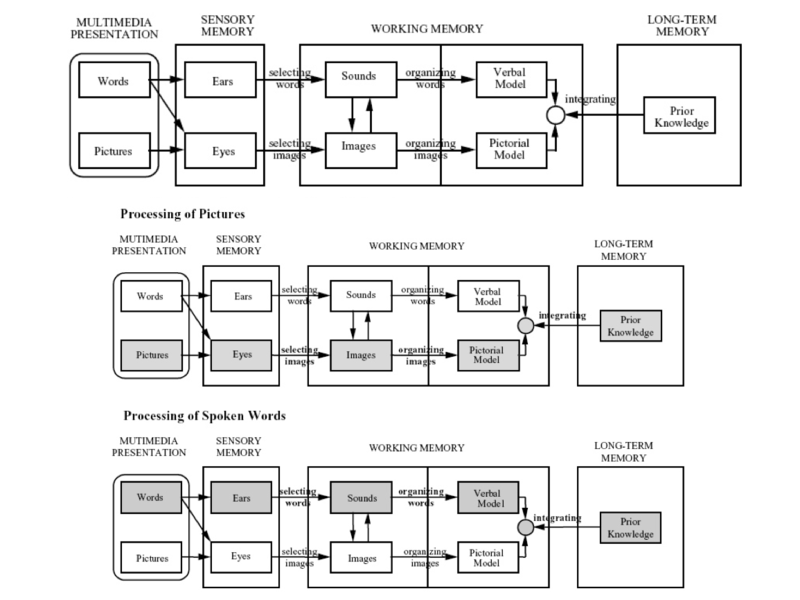 This first led me to books like Slide:ology and Presentation Design, but I then started to find some of the original literature the principles are based on. 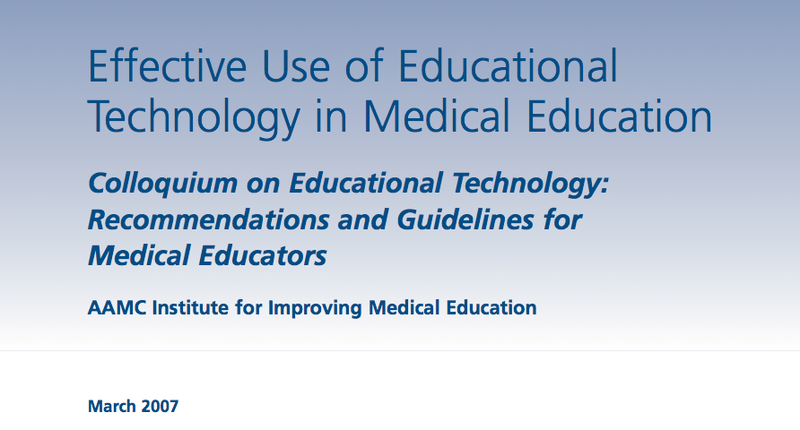 In March of 2007, the AAMC’s Institute for Improving Medical Education published the recommendations of a colloquium on the use of educational technology in Medical Education. Fast forward 3 years, and we are still looking for the answers. According to the author, “the majority of medical school lectures run contrary to best practices in instructional design.” I would argue this is true of the majority of ALL presentations. As educators, we need to challenge the current educational practices and conduct research to find the best ways to educate our learners. It also means that it is our job to incorporate best practices into our teaching. This is especially important for medical education as enhancing the learning, skills, and retention of our students may lead directly to better patient care and patient outcomes. We can definitely cure our anemia. Back to Designing Great Presentations!